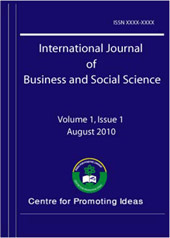 There are a large number of studies examines the relationship of the corporate governance and the corporate performance. The different board structure and characteristics in corporate governance help a corporation to improve their performance and sales. This paper is to analyses the relationship between board characteristics and firm performance in Malaysia listed companies. Board characteristics were measured by the proportion of independent directors, board size, and the proportion of non-executive board members. The measurement used to measure the firm performance is the return on assets (ROA). All the data used in the study were collected from the 30 listed companies under Bursa Malaysia (KLSE) and Thomson Reuters Data Stream system from the period 2011to2015. The methods used for the empirical analysis include Pearson Correlation Coefficient, Panel Regression Analysis (Fixed Effect& Random Effect), OLS Model, Breusch and Pagan Lagrangian Multiplier (LM), Hausman Test, Specification Test and Diagnostic Test (Multi-collinearity, Heteroscedasticity and Serial Correlation). The results show that there is negative relationship between board characteristics and firm performance and none of the relationship is significant relationship with firm’s performance.